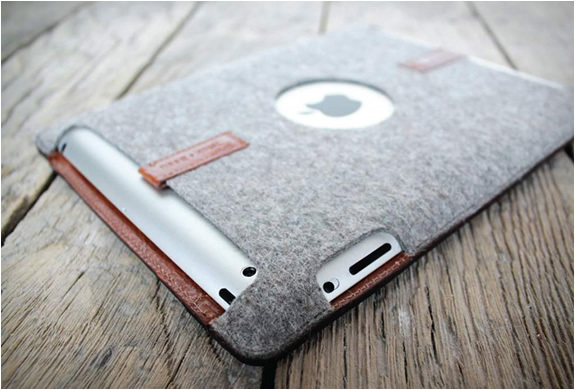 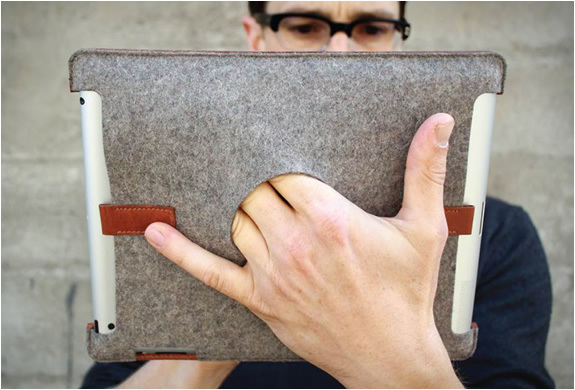 Palette Case is a stylish versatile case for the iPad, made from finely detailed leather and Merino wool, the case features a hole in the back panel making it easy and comfortable to hold your iPad in portrait or landscape positions, great for presentations. 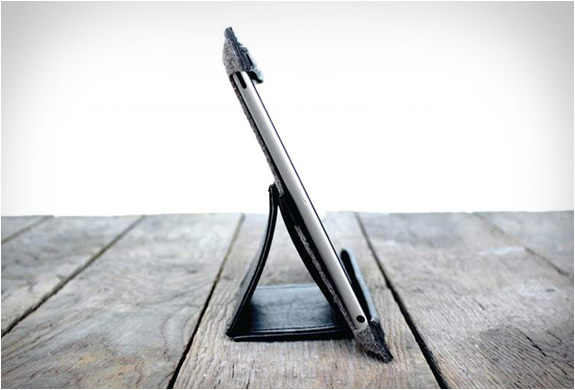 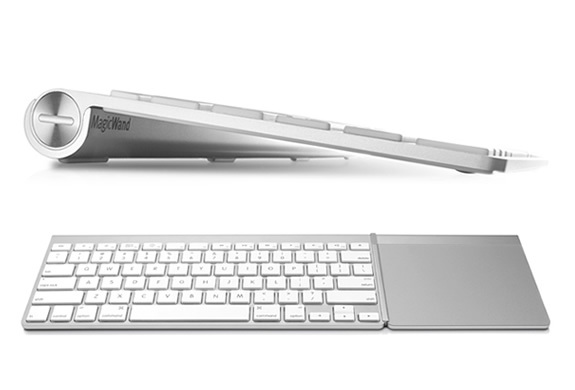 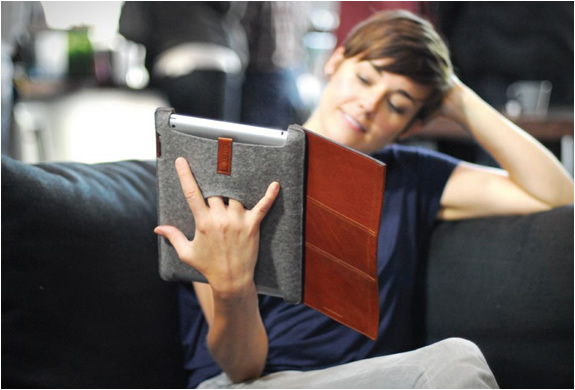 The case also includes a trifold leather cover that protects your screen, it can be removed and folded to create a stand for the iPad. 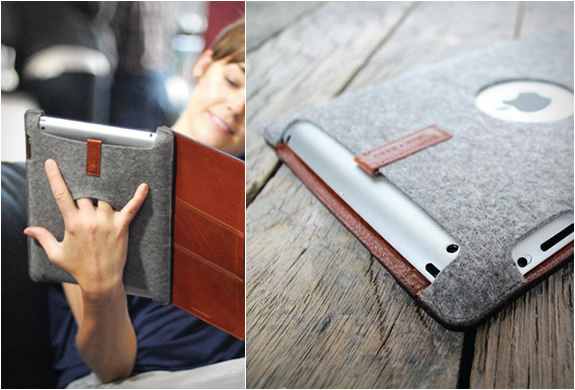 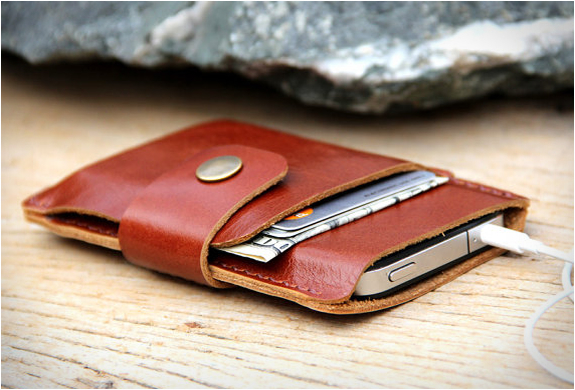 Palette case is available in two styles, chestnut leather and natural grey felt, or black leather and natural grey felt.